Buffet | Click on any image to view larger. 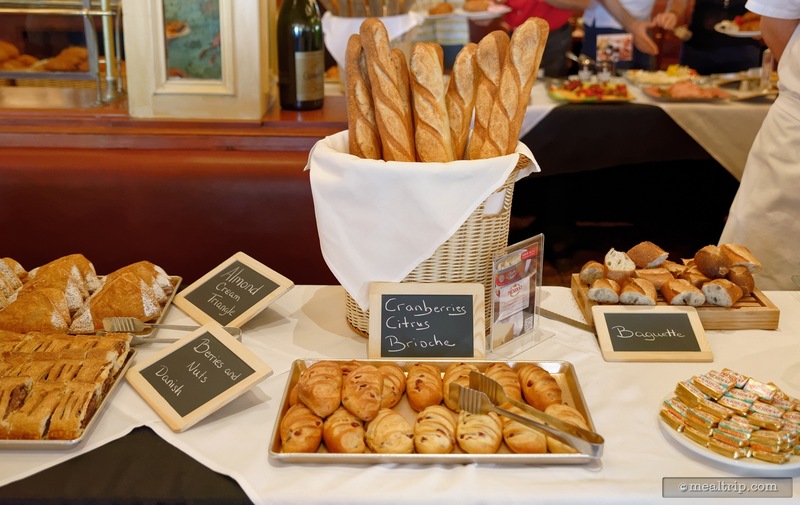 The Parisian Breakfast listing is a Buffet dining location at Epcot Food & Wine Event Reviews featuring French cuisine. There are 20 photos in the Mealtrip photo gallery for this location and dining period. 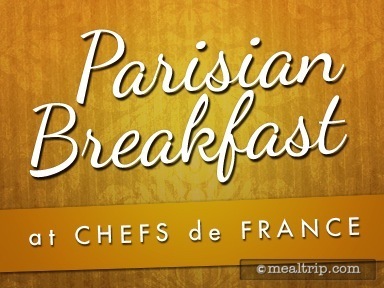 The Parisian Breakfast listing currently has a score of 93 out of 100. 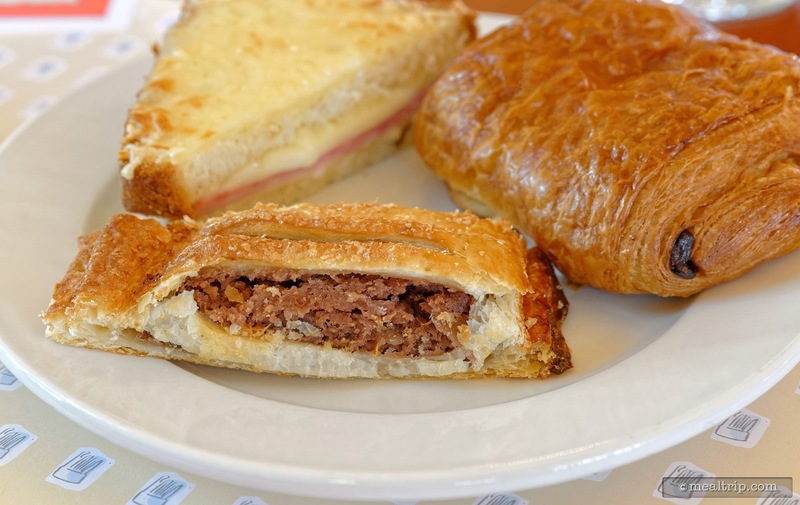 Click here to read all of the reviews for this location, or log in to Mealtrip.com to add your own review for Parisian Breakfast. 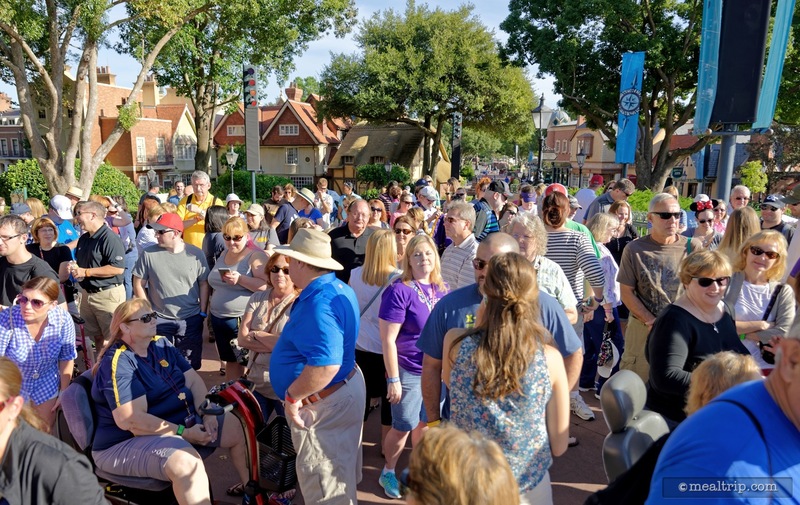 This is what Epcot's France Pavilion looks like about a half hour before any guests are let in! 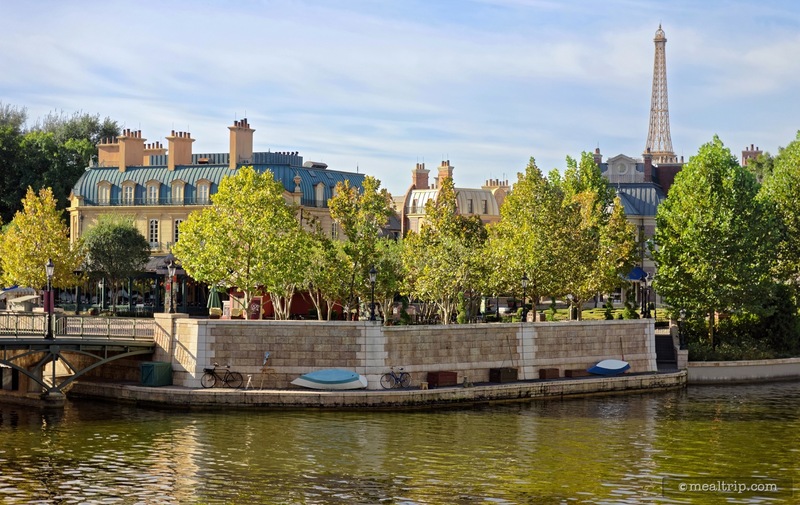 The Parisian Breakfast takes place on the first floor of that large building on the left (Chefs de France). 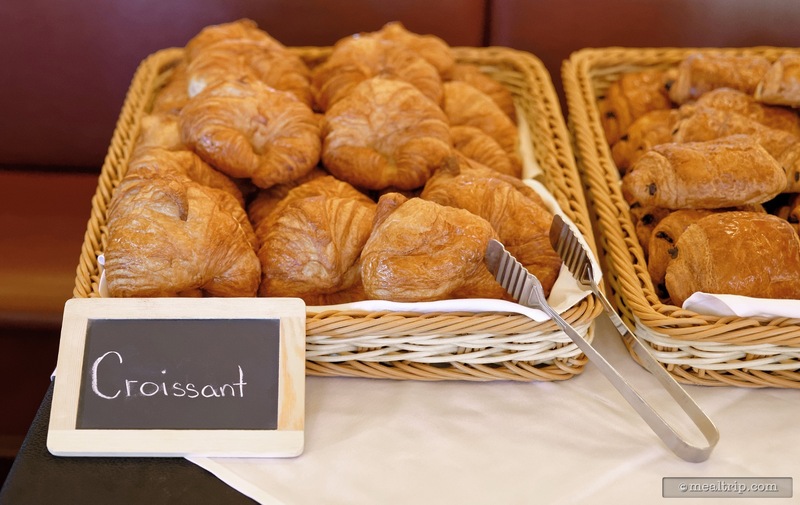 Well, you won't be dining alone at the Parisian Breakfast. On this particular day, there is a rope holding guests at the UK to France bridge. The actual "holding" spot can change from day to day. 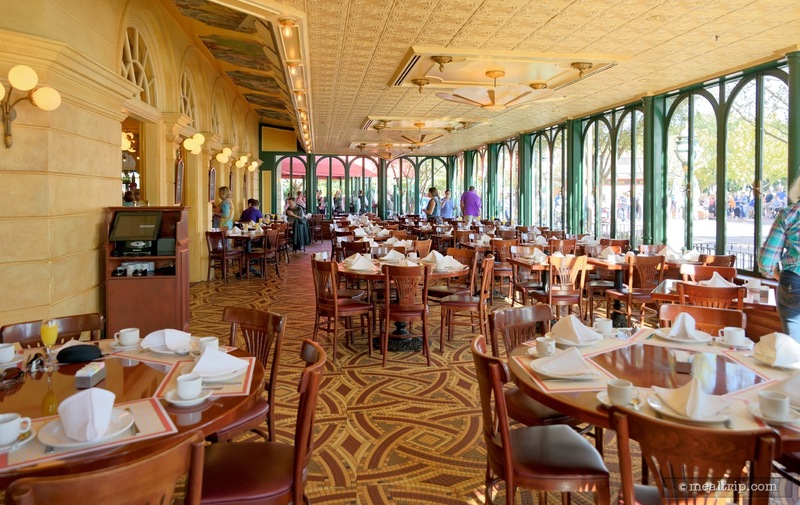 Once inside, the Chef de France dining area seems to glow in yellow and orange morning hues. This main dining area is very much like a France street-side cafe. Mimosas anyone? 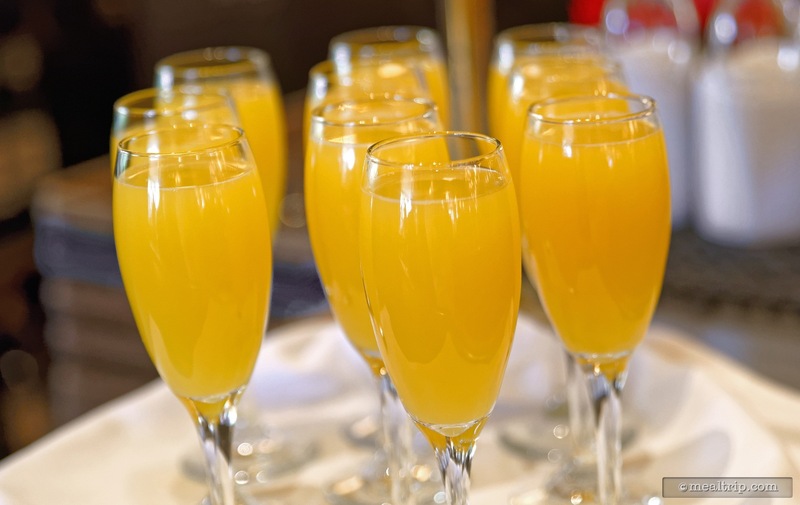 The half sparkling wine, half orange juice beverage is offered to anyone "of age" at the Parisian Breakfast, almost as soon as you sit down! The buffet line is duplicated on both sides of a center column, so if one side is too busy... check out the other side! 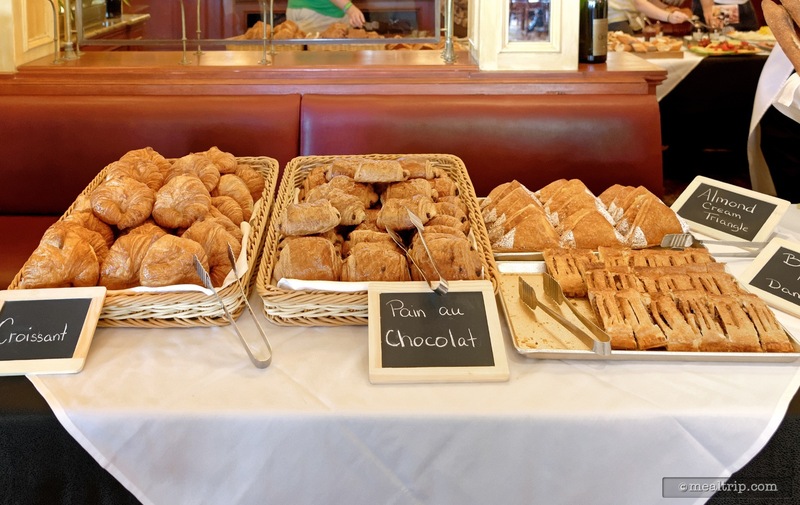 The pastry buffet-line is actually eight "normal lunch booths" that have been covered with white table linens. 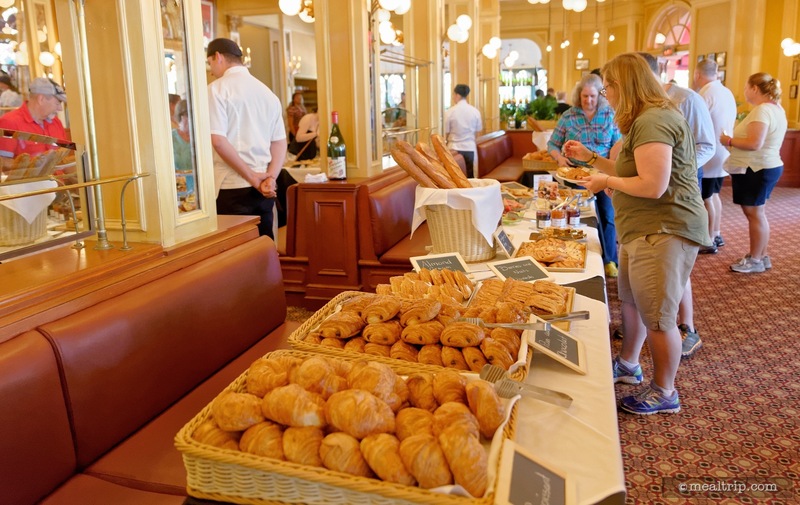 This area is not used for "seating" for the special Parisian Breakfast event. 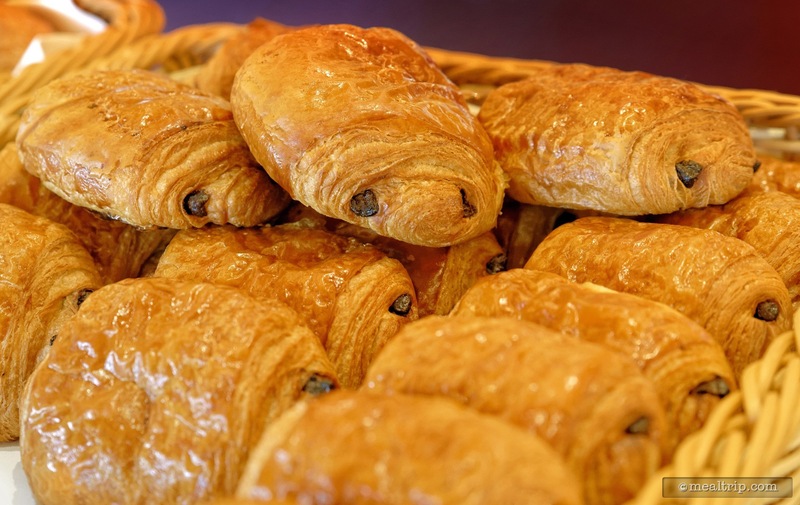 The Croissants at Epcot's Parisian Breakfast are extremely fresh and made on-site at the nearby Les Halles Boulangerie & Patisserie. A Tomato Cheese Tartine from the 2015 Parisian Breakfast. 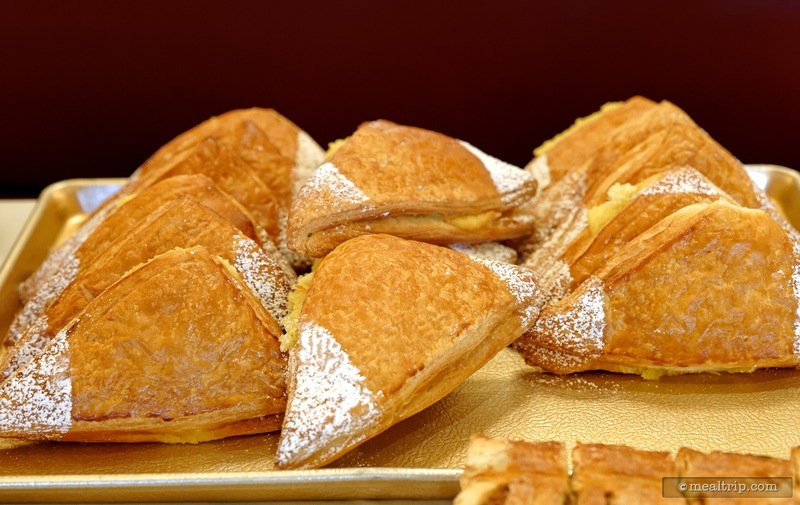 The Almond Cream Triangles at Epcot's Parisian Breakfast during the International Food and Wine Festival. 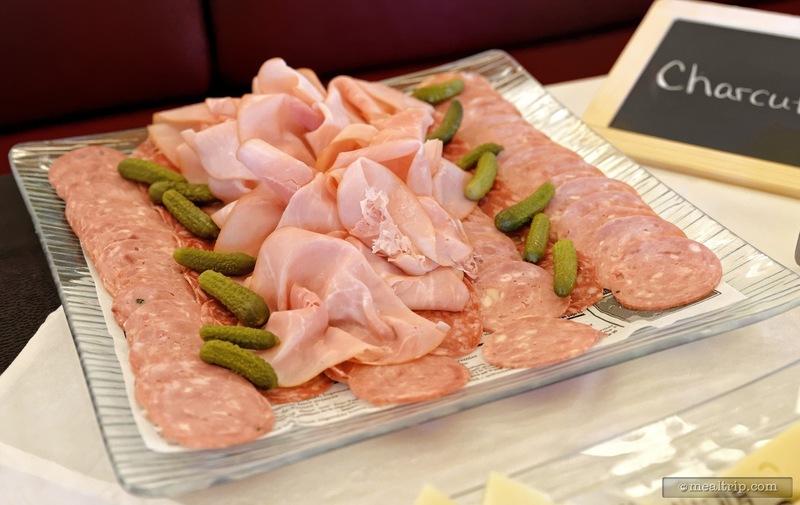 There is a Charcuterie Selection Platter that features a couple different sliced meats and pickles. 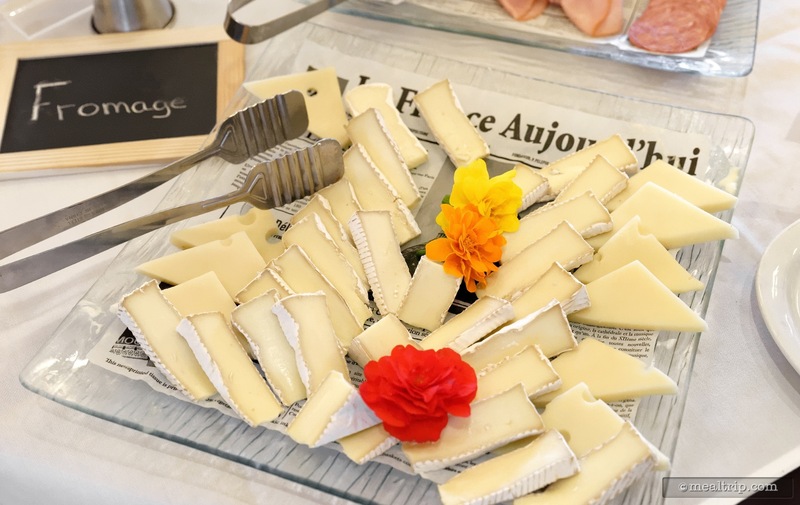 The Fromage Selection Platter offers two or three selections of French cheese. 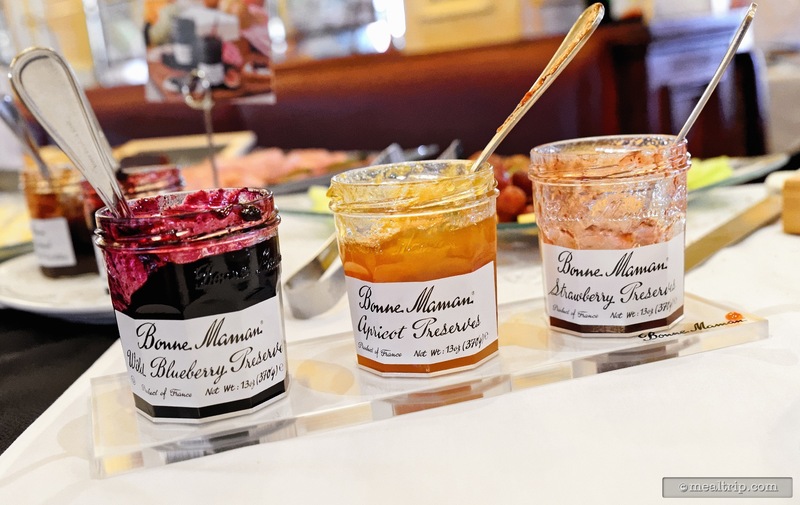 Mmmmm... Bonne Maman Preserves are the best on fresh baked French pastries. It looks like the Strawberry Reserve is very popular. 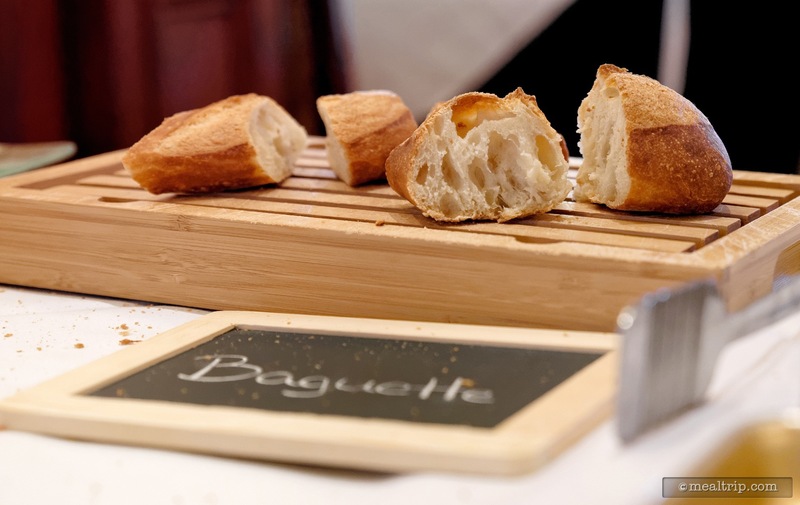 A Fresh Crust Baguette is a great vehicle for those Bonne Maman Preserves and Spreads. Purple Fig and Black Cherry were also available on the last time I went to the Parisian Breakfast. 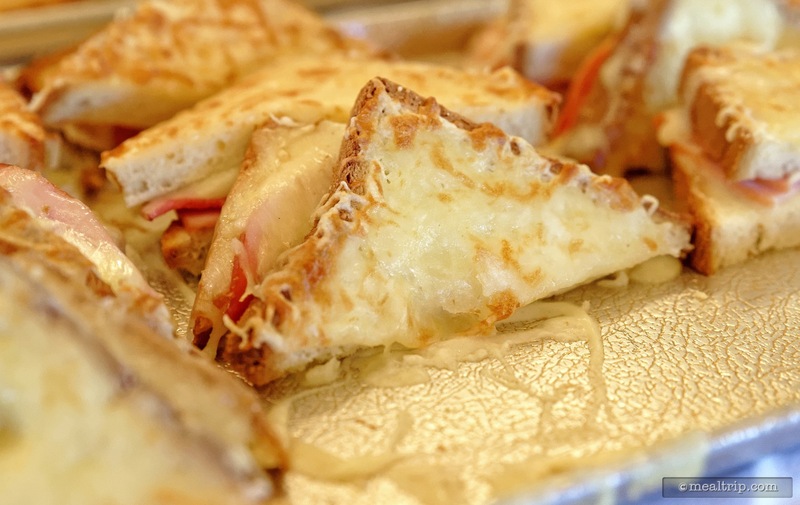 A close-up of the Croque Monsieur, (which is basically ham and cheese grilled into fresh bread). You can visit the buffet line as many times as you want! Here's a cutaway of what I believe is the Berries and Nut Danish, but it could also have been the Cranberries Citrus Brioche... it's hard to say after so many Mimosas. 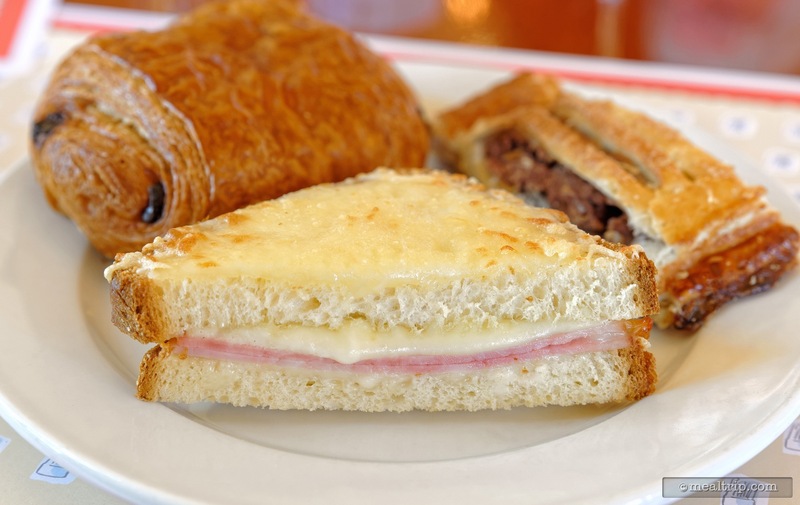 Here's a side view of the Croque Monsieur at the Epcot Food and Wine Festival's Parisian Breakfast. 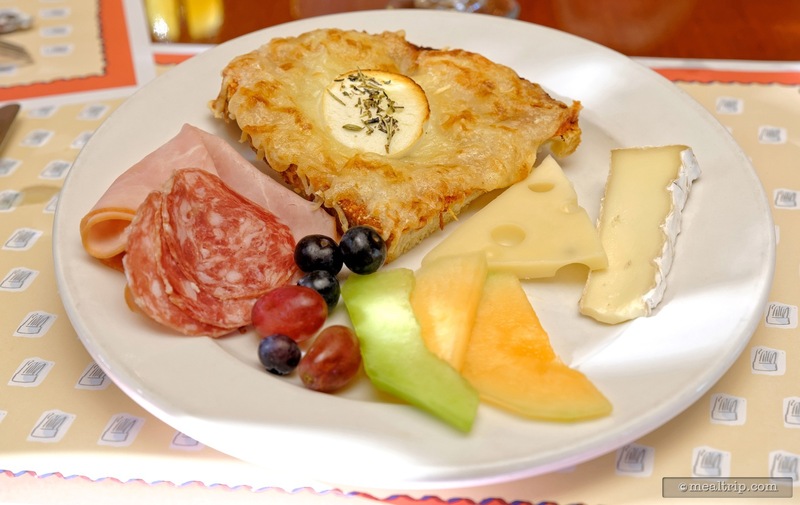 You can make so many great looking plates at the Parisian Breakfast! 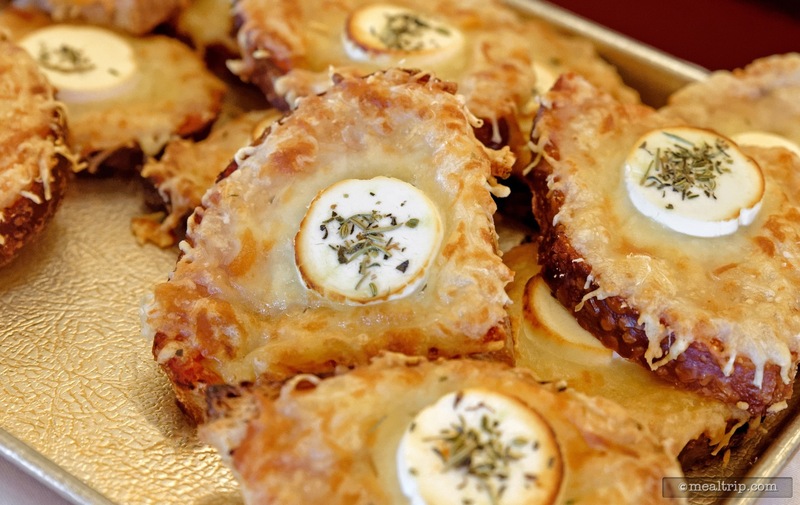 The various meat, cheese, and fruit items are a great compliment to the bread-based pastries. 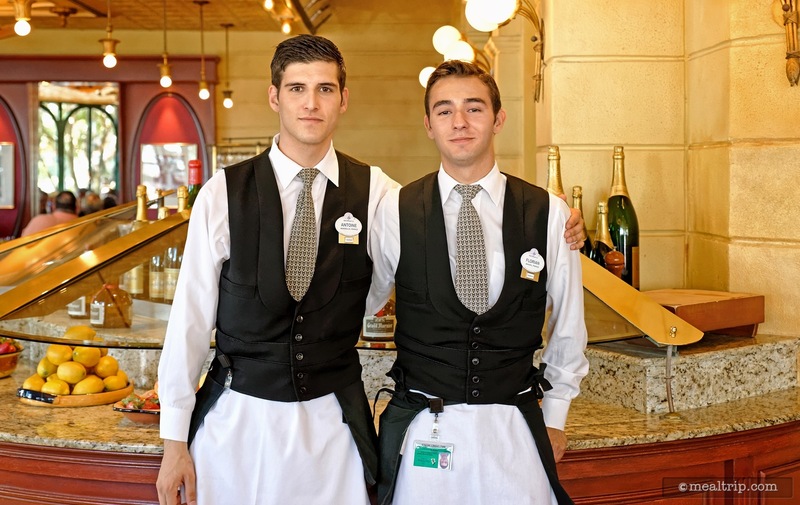 The genuinely French cast members are dressed in formal service wear and have always been amazing at this special event! They are always happy to talk about their home, France.